The second work from EPCS member Jenny Gaudion. In this semi-transformation deck, proverbs are cleverly split between two cards. 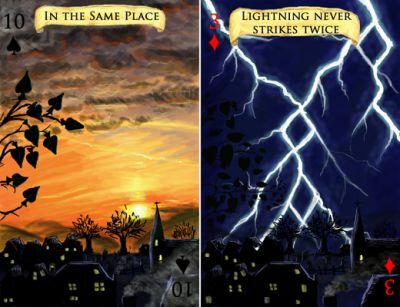 The Limited Edition cards are standard size and also available double size, which shows the wonderful artwork superbly.